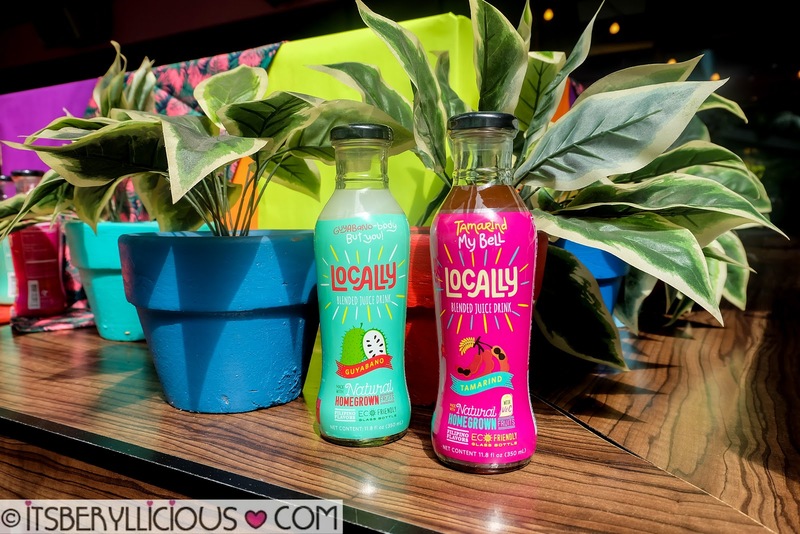 There's a new local beverage player in the market, brought to us by one of the leading sauces and condiments manufacturing and distribution company in the country. Locally is NutriAsia's first venture into the beverage industry, and they are upping their game by coming out with unique, witty, and pun-ny names for their ready-to-drink fruit juice line up. 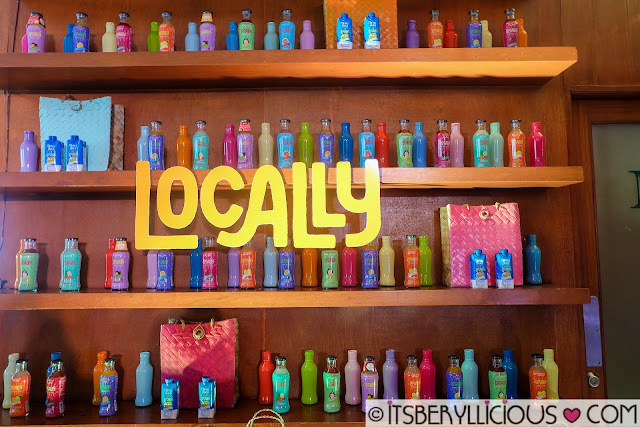 Locally currently has ten (10) indigenous and homegrown flavors that are sourced from various locations/provinces in the country. 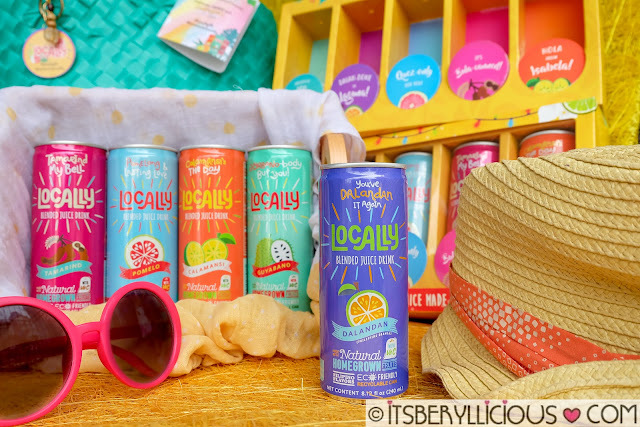 The first seven (7) flavors are sweet and fruity juices, while the three (3) other flavors are refreshing coconut water variants. Pomelo (Pomelong and Lasting Love) - Davao and Quezon. 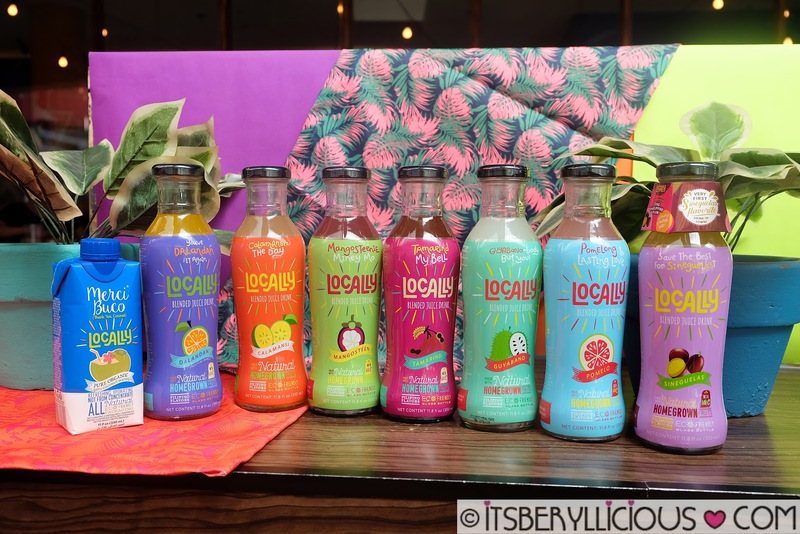 I got to try some of Locally juice variants during a media launch at Early Night in BGC few weeks ago. The place was aptly decorated to match Locally's bright, fun and colorful packaging. Locally juices are available in glass bottles, cans, and tetra packs-all of which are guaranteed eco-friendly and recyclable. You can drink them as it is, or mix them with your favorite cocktails. I love how Locally made use of unique local flavors other than the usual orange and mango juice drinks we are used to seeing in supermarket/grocery shelves. It's also one way of showcasing homegrown fruits and raising awareness and appreciation of our produce harvested by our local farmers. 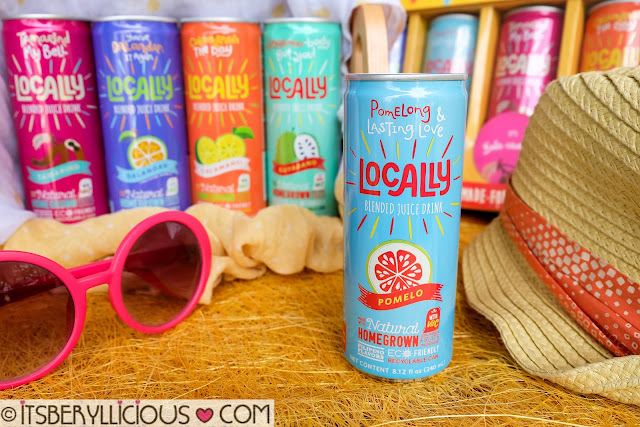 They have interesting local flavors that uses exotic fruits you'd never thought would make a good drink such as Guyabano, Tamarind, Mangosteen, Sineguelas, and Pomelo. 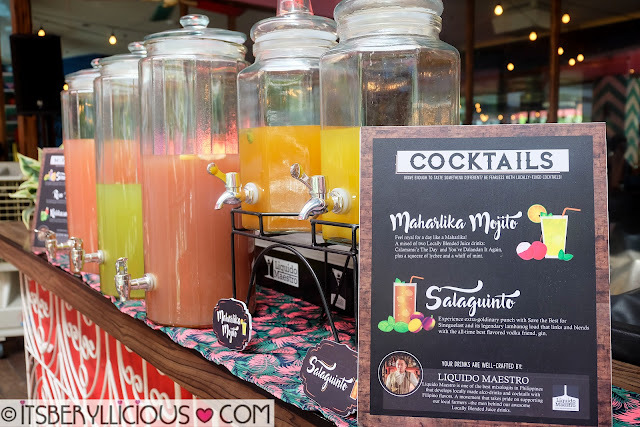 If you are not feeling too adventurous with your juice drinks, Locally also offers classic flavors that are equally delicious and refreshing like the Calamansi and Dalandan. 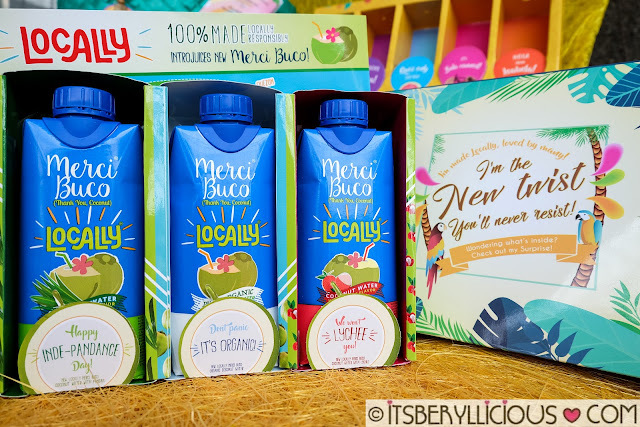 Locally's coconut water line Merci Buco boasts of being the first and only local brand in the Philippines that is Eco-Certified Organic Cocowater and USDA approved. 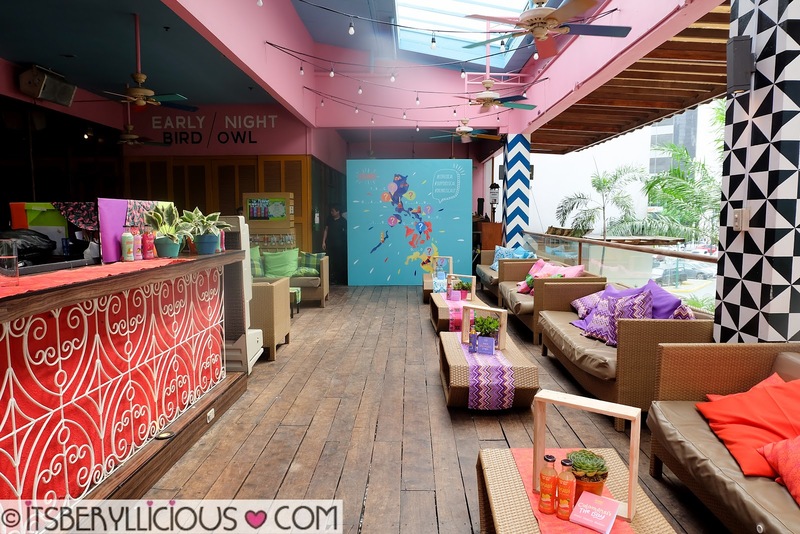 It is also the first to offer fun flavors like Pandan and Lychee. For someone like me who isn't much of a fan of coconuts, I totally dig the flavored variants. 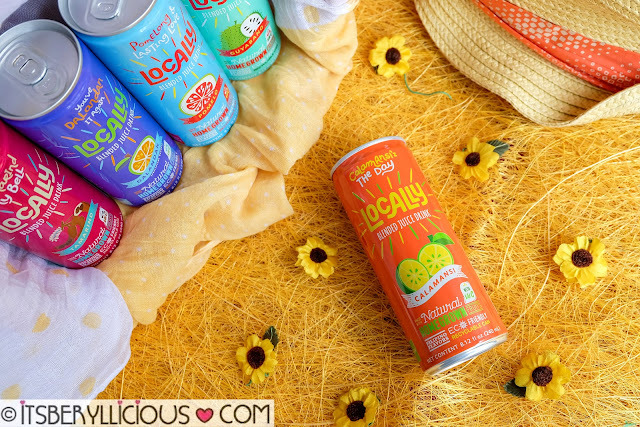 The coconut water is gluten-free, non-GMO, not from concentrate, no fat nor cholesterol, and a good source of electrolytes. 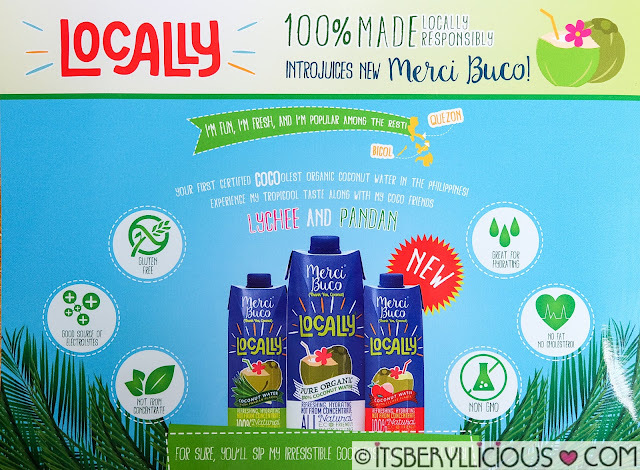 Locally juices are available in 7/11, Puregold, Robinsons, SM Supermarkets, South Supermarket, Rustans, Shopwise and Waltermart, and other leading convenience stores and supermarkets nationwide. 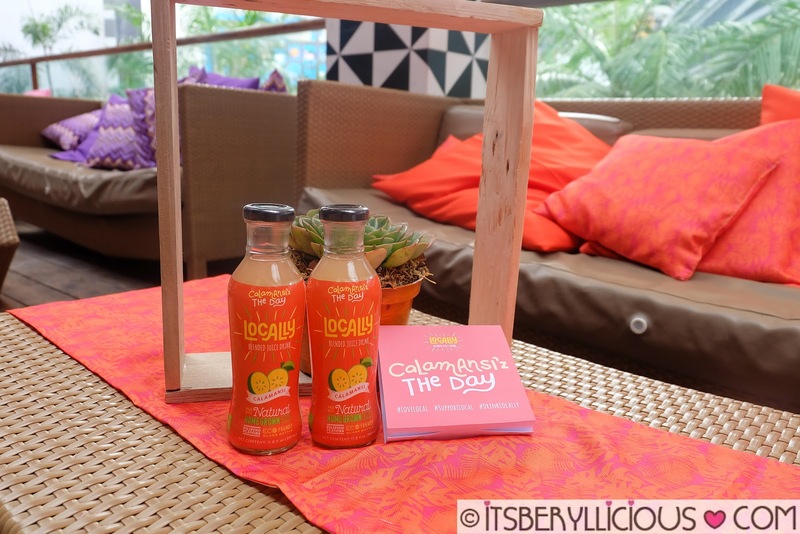 For more information, you may visit @LocallyPH on Instagram and Facebook.